My baby finally turned one! It’s been a very exciting year watching him grow from my little jelly bean into the little person he is now. Since we are stationed in Colorado and we have no family near, we decided to take a vacation so my son could be around friends and family for his first birthday. It was a nine hour drive, but it was well worth it! 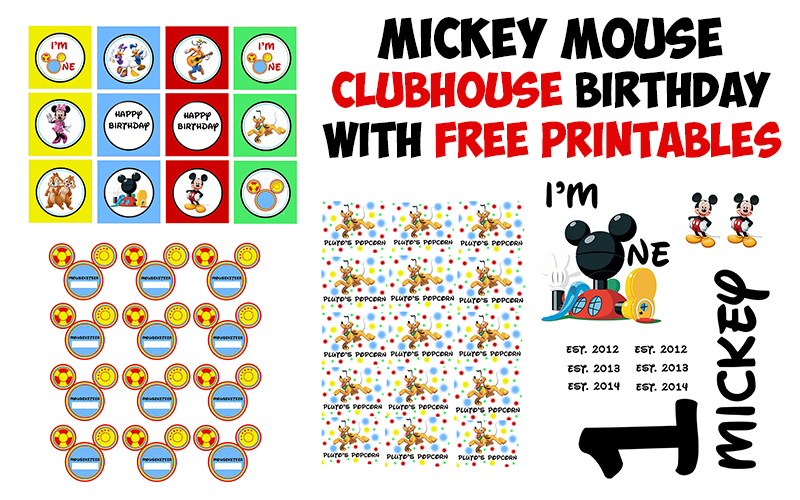 Here are pics from his Mickey Mouse Clubhouse Birthday party with some free printables. Enjoy! My son loves Mickey Mouse Clubhouse! You may wonder how I know if he likes it or not. Well, the Hot Dog song is the only song he hears that he will get up and dance to. Whether he is in another room or not, if he hears it come on television then he is up clapping, dancing, and doing his best to sing along. 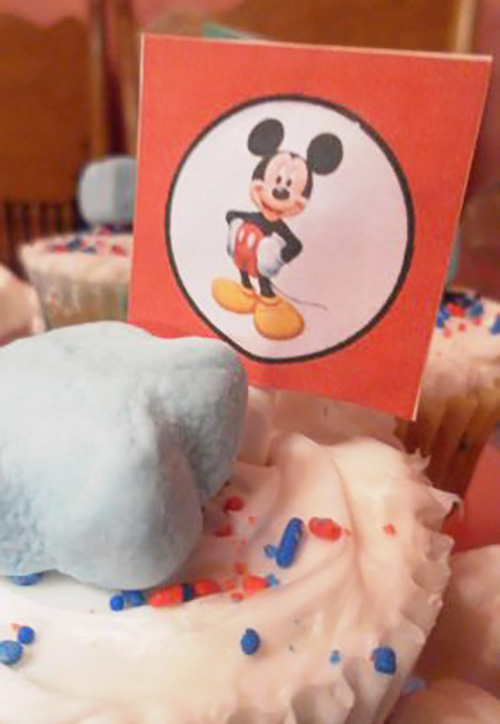 That’s why we decided to have a Mickey Mouse Clubhouse birthday party when he turned one. Everything from the name of the food (yes, we had a Daisy and Donald Dorito bar) to the Mickey decorations was ears and cheers. 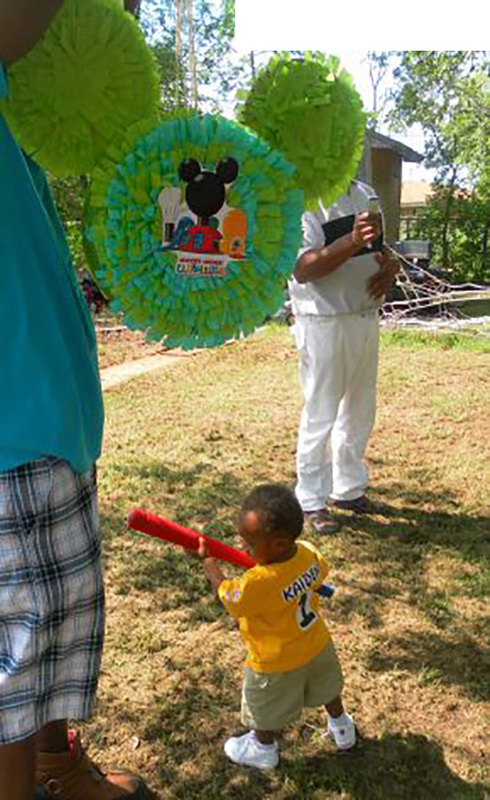 I even made the pinata myself! I used the same technique when I made this Elmo piñata. 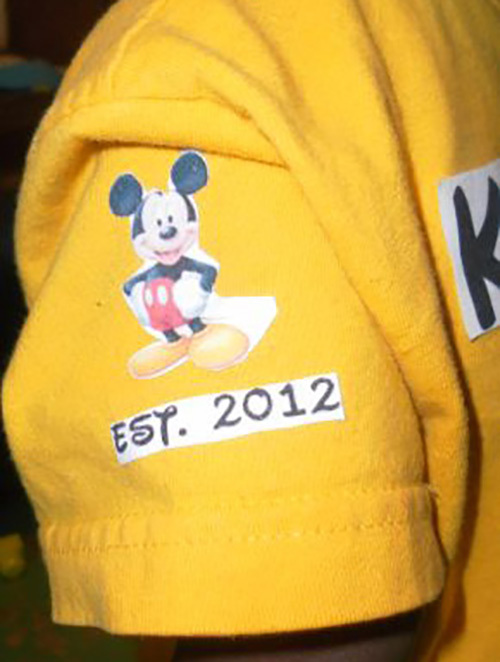 Kaiden wore a personalized shirt for his birthday. I designed the graphics, printed them on an iron-on transfer paper , cut each design out, and ironed them onto a solid-colored shirt. 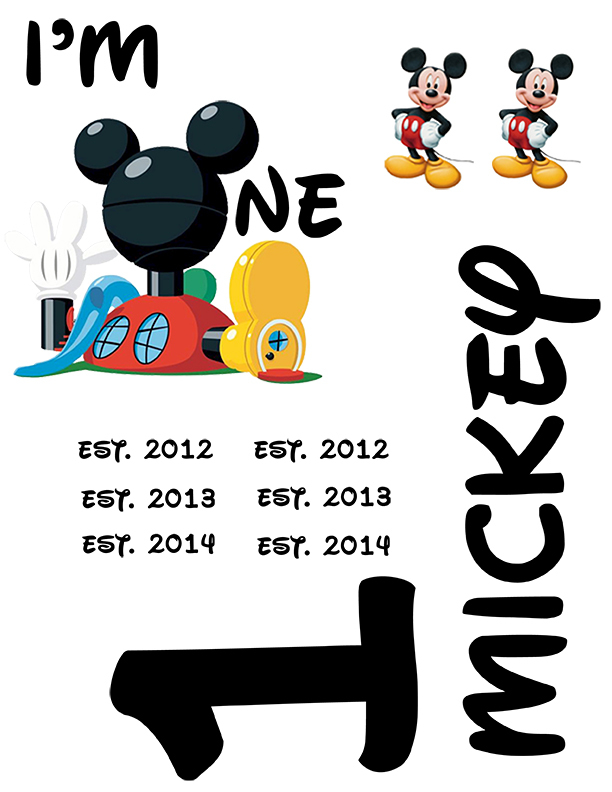 The Mickey Mouse Clubhouse tshirt printable covers years 2012, 2013, and 2014 so you can use it for the next few years for your little one or just used the design without the years. The pdf is backwards, so you can print properly onto the shirt. Instead of a traditional cake we had a cupcake tower. 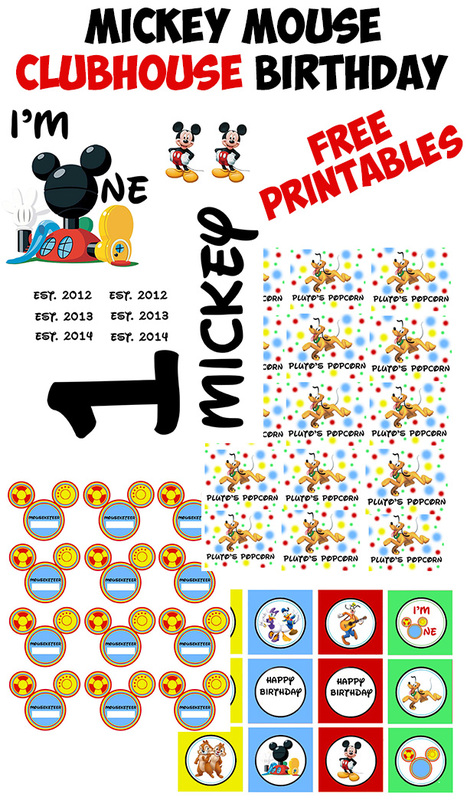 I designed and printed these Mickey Mouse Clubhouse cupcake toppers, cut them out, and glued a cut in half lollipop stick in the middle of two. Of course, who could ever forget about Pluto? Even though he can’t talk, he is one of the major characters. 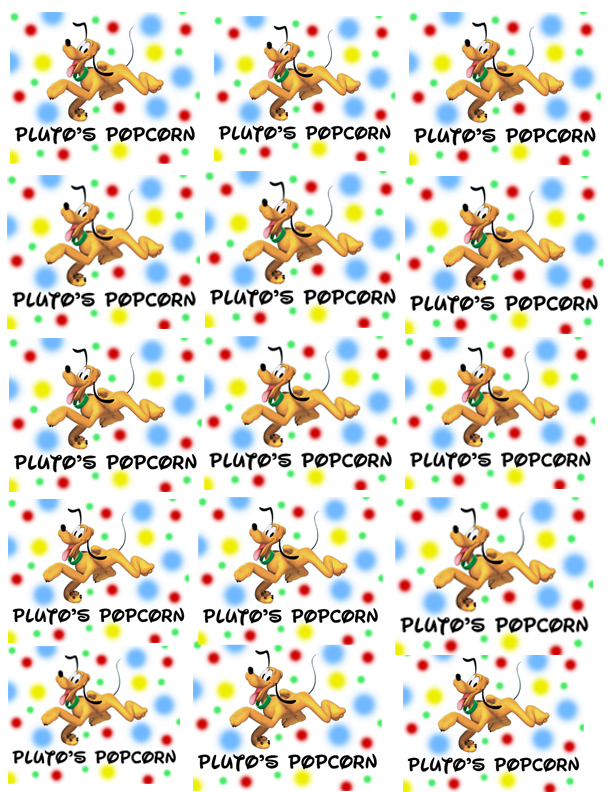 That’s why we decided to honor him with Pluto’s Popcorn! I designed these, printed them, cut them out and glued them to the bags. We cooked the popcorn on the stove top and poured a cup in individual bags for the kiddies. 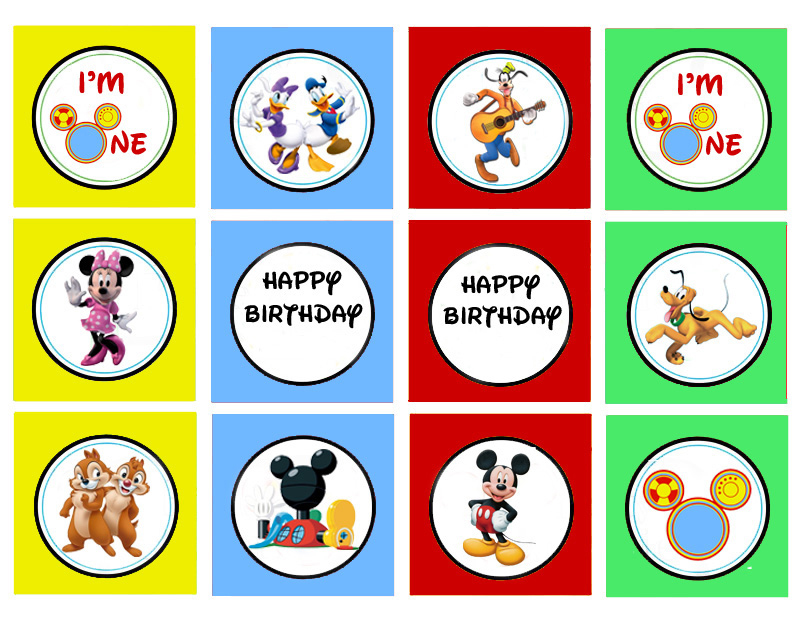 What would a Mickey Mouse Clubhouse birthday party be without the Mouseketeers? 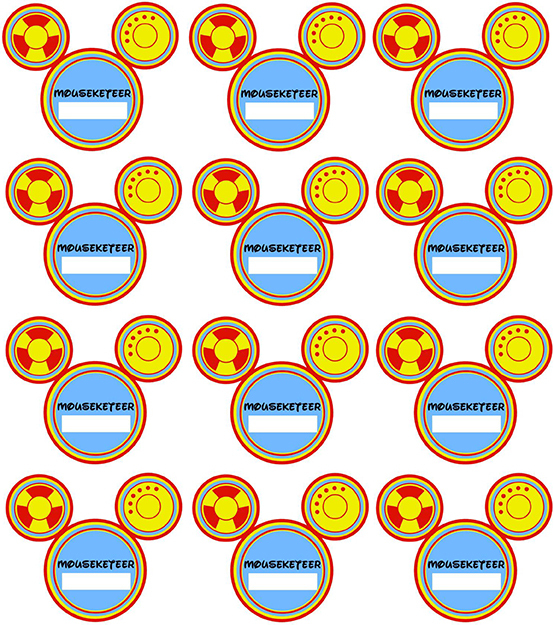 I didn’t get a chance to take a picture of the cups, but here are the labels for you to print out and attach to the cups for the kiddos! 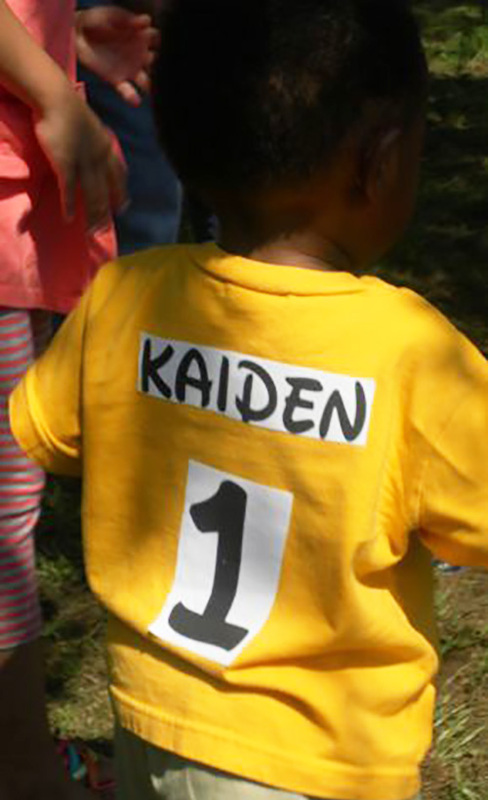 Happy Birthday Kaiden! Many more with health and love from all the ones around you! 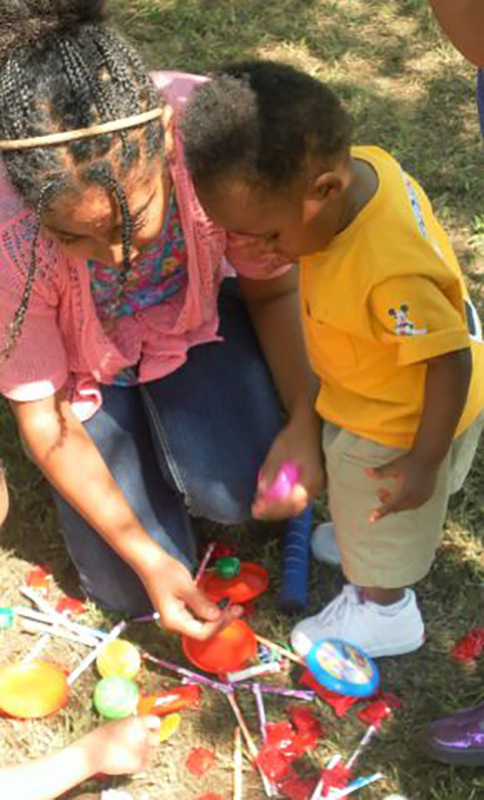 Great job mommy, that was a fun party…and now I’m singing the Hot Dog song in my head till I go to sleep! lol Congrats Kendra, he is adorable! Thank you so much, Lizy! Sometimes I even get that song stuck in my head! Geesh! That was so much fun! 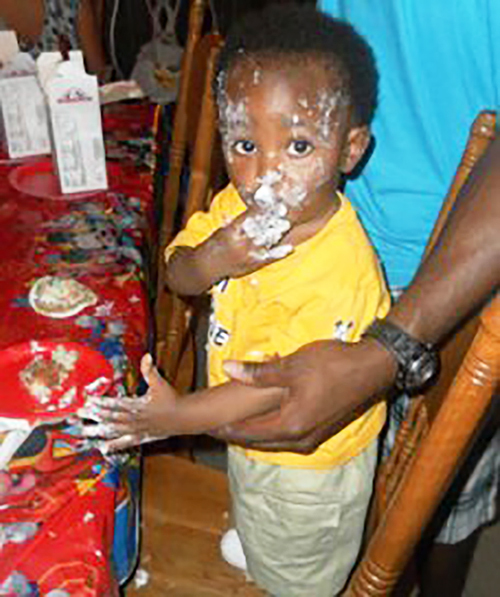 I can see Kaiden had a good time. Love all the ideas! 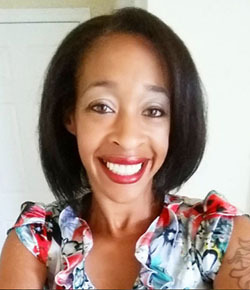 Hi, Reshama! He really enjoyed himself.